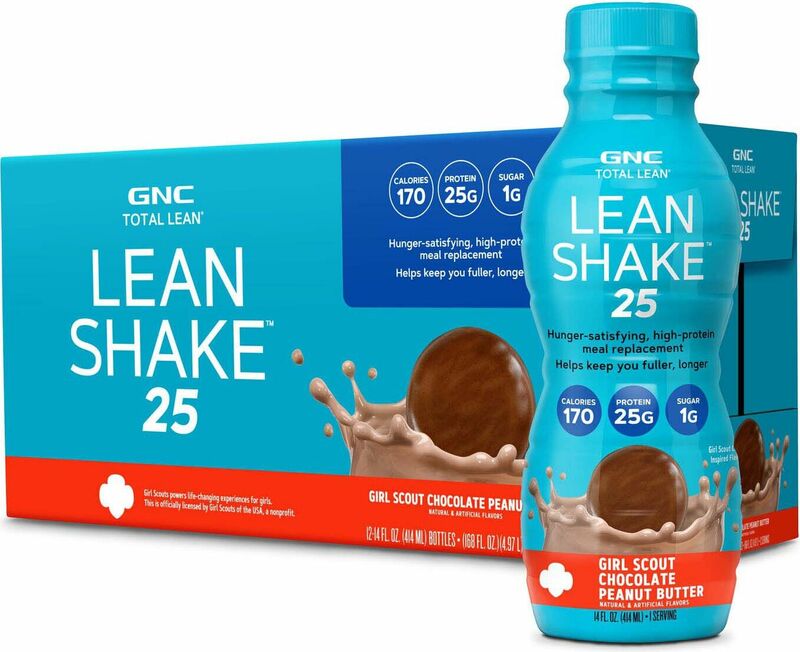 GNC Total Lean Lean Shake 25 offers a well-balanced blend of high quality protein, fiber, vitamins, minerals, and fat. This great tasting combination makes a healthy addition to your dietary regimen. With 25 grams of high quality protein per serving, Lean Shake 25 can be an effective way to increase your feeling of fullness and satiety. Dietary protein can also help support lean body mass. Each serving of GNC Total Lean Lean Shake 25 also includes 9 grams of fiber including oat beta-glucan. Oat beta-glucan is a naturally-occurring, powerful, low-glycemic soluble fiber found in oat bran that helps support normal, healthy blood glucose levels. Both protein and fiber are effective at inducing a great feeling of satiety compare to high-glycemic foods and can make you feel fuller for a longer period of time, so you eat less and wait longer between meals. 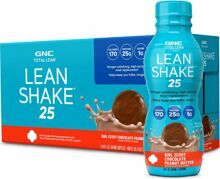 GNC Total Lean Lean Shake 25 is a convenient and effective way to exercise portion control, an essential component of a successful weight management program. Combine the use of high protein Lean Shake 25 with the meal and exercise plan. With just two delicious shakes per day and a few simple lifestyle changes, including a calorie-controlled diet, you can be on your way to achieving your weight management goals and living a healthier life.